Augher cornmill, where George Duffy was a miller. 3:15pm 'Carleton’s influence on modern Irish literature'. Literary Symposium with Ciaran Collins, Patricia Craig, Anthony Quinn and Tony Bailie. 4:30pm Seminar continues & discussion to close of session 6:00pm. 7.00pm Walk on the Carleton Trail with the Clogher Valley Ramblers. 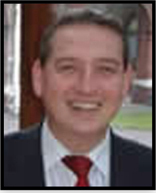 Before his appointment as Dean of Research & Humanities, Ciarán Mac Murchaidh was Senior Lecturer in the Department of Irish at St Patrick’s College, Drumcondra. His principal teaching and research interests lie in the area of 18th century religious literature in Irish. His grammar of the Irish language for undergraduate students, 'Cruinnscríobh na Gaeilge' (Cois Life) was published in 2002, the fourth edition of which appeared in 2012. He was editor of a general collection of essays in English on the importance of the Irish language in 2004, 'Who needs Irish? Reflections on the importance of the Irish language today' (Veritas). 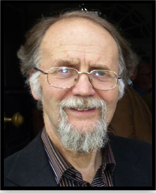 Dr Mac Murchaidh has also published two bilingual and thematic anthologies of Irish language poetry. Among his latest publications is a volume of essays on the interface between the Irish and English languages, co-edited with Professor James Kelly: 'Essays on the Irish linguistic and cultural frontier, 1600-1900' (Four Courts, 2012). is a former Lord Mayor of Belfast and former Ulster Unionist Councillor. He is a retired medical doctor. He studied at Bangor Grammar School, then Queen's University Belfast. He speaks ten languages, including Scots, Lakota Sioux and Swahili. He is founder Chair of the Ulster-Scots Language Society, and remains a Vice-President. In association with Professor Robert Gregg in 1992, he founded the Ulster-Scots (Ullans) Academy. He is the author of several books on subjects, such as folk poetry, history and religion. He is the author of 'The Cruthin' (1974), laying claims to Ulster descent from a pre-Gaelic people in Ireland. He also wrote 'The Identity of Ulster' (1982), and other works dealing with the ethnology of a group of pre-Celtic settlers in Ulster whose mentality is said to pervade the modern province. He is President of Belfast Civic Trust, founder Chair of The Somme Association and a founder of the Farset Youth and Community Development group in Belfast. is President of the William Carleton Society and a former Director of the Summer School. He was a former Chairman of the Ulster Local History Trust. 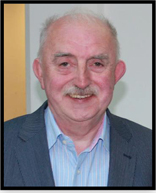 Jack has written and lectured widely on local history, and has a particular knowledge of his native Clogher Valley. His publications include articles in a wide range of journals while he has edited local studies in Cavan, Monaghan, Tyrone, Fermanagh and Sligo. One of his earliest articles was ‘The Hedge Schools of Tyrone and Monaghan’ in the Clogher Record, (1969). He has planted over 100 trees and was one of the first to introduce the Texel breed of sheep to County Tyrone. His tours of the local area have been a popular part of the annual Summer School. 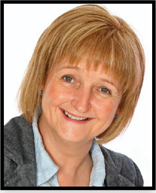 is originally from Clogher, Co. Tyrone but has lived in North Monaghan for the past twenty five years where she was nominated for the Monaghan Person of the Year in 2003 for her contribution to Community Development and Peace Building Projects within the County. A graduate of Queen's University Belfast, she is currently employed by Clones Regeneration Partnership and Castleblayney Arts & Community Development Company. Josephine is a great great grand daughter of Anne Duffy and has always been fascinated by the link with William Carleton. 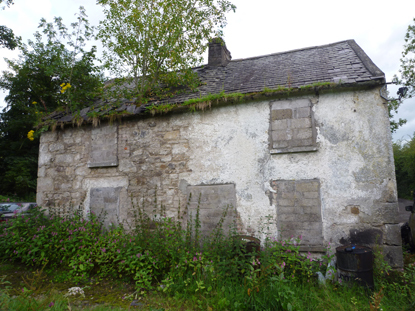 She has had several short stories published in national publications and her contribution to this year's Summer School is a short story based on Anne Duffy's account of William Carleton's visit to her marital home in Ballyscally, Clogher in 1847.
grew up in the village of Innishannon, Co. Cork. He studied English and Irish at University College Cork, and completed an MA in 2001, specialising in Modern Drama, especially the work of Tom Murphy, Brian Friel, Eugene O’Neill, Arthur Miller, David Mamet and Marsha Norman. In 2003 he began his career as a secondary school teacher of English and Irish in South Dublin and in 2009 moved back to County Cork to take up a post at his alma mater in Bandon. He lives in Kinsale with his wife and has one daughter. 'The Gamal' is his first novel and is published by Bloomsbury Circus. Before writing 'The Gamal' he had written a couple of plays and some short stories. He is currently working on his second novel, another play, a screenplay and writes an occasional short story. is from Belfast. She moved to London in the 1960s but always retained strong links with her native city, returning to live in Northern Ireland in 1999. She was a guest at the Summer School in 1999. A leading literary critic and anthologist, she regularly contributes to the Independent, London Review of Books, Times Literary Supplement, Irish Times and New Statesman, and has appeared on various television and radio programmes. She is the author of 'Brian Moore: A Biography' (Bloomsbury, 2002) and has edited many anthologies, including 'The Oxford Book of Ireland' (Oxford University Press, 1998), 'The Rattle of the North' (Blackstaff, 1992), 'The Belfast Anthology' (Blackstaff, 1999) and 'The Ulster Anthology' (Blackstaff, 2006). Her other works include 'Asking For Trouble' (Blackstaff, 2008), a memoir of a teenage escapade with disproportionate consequences growing up in 1950s Belfast and more recently 'A Twisted Root' (Blackstaff, 2012) in which she traces the remarkable stories of her ancestors from different traditions. 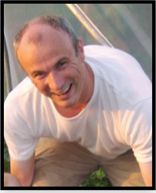 was born in 1971 in the Clogher Valley and after completing an English degree at Queen's University and a Masters in Social Work followed various callings - social worker, counsellor, lecturer, organic market gardener - before becoming a journalist. 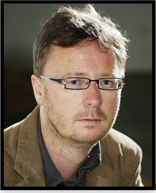 His short stories have been short-listed twice for a Hennessy/New Irish Writing Award. He was also the runner-up in a Sunday Times New Food Writer competition. 'Disappeared', his first novel, was published in 2012 by the Mysterious Press, New York, and has been nominated for a Strand Best Debut Award by book critics at the Washington Post, the LA Times, the San Francisco Chronicle and the Guardian. 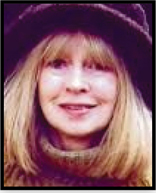 'Border Angels', the sequel, is due to be published on October 22, 2013.
from Co. Down is a novelist, poet, and journalist. 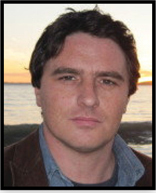 His third novel 'A Verse to Murder' was published as an ebook in October 2012. His previous two novels, 'Ecopunks' (2010) and 'The Lost Chord' (2006) were both published in paperback by Lagan Press. He has also written two collection of poems, 'Coill', (2005) and 'Tranquillity of Stone' (2010) both published by Lapwing Publication. His story 'The Druid’s Dance' appeared in the award-winning Irish crime-fiction anthology 'Requiems for the Departed', published in June 2010 by Morrigan Books. Individual poems and short stories have been published in various journals and magazines including Verbal, Boyne Berries, Books Ireland, Crannog, and Revival. He works as a journalist for The Irish News and has also written for the Guardian, the Irish Independent and reviews for The New York Journal of Books. have become a household name in Irish traditional music both locally and nationally, where they have enjoyed playing at functions, fleadhs and festivals across the country. Their solid traditional style of music is played at a standard which defies their young age. They are the current All Ireland Trio champions on fiddle, uileann pipes and concertina. They have starred in American television as backing musicians in the production of Irish documentary Coast to Coast , Ceili House radio programme and the Heather Breeze. They comprise James on concertina, Eugene on fiddle, Peter on uileann pipes and tin whistle, Sinéad on flute, fiddle, guitar and traditional singing, Martin (their father) on banjo, Daniel on button accordion and 7 year-old Ciarán on the tin whistle.